As the days click down to the spookiest day of the year, my thoughts and viewing tastes start shifting into my preferred delivery method for the shakes and the quakes: Black and White Monster Movies. And as a die hard fan of classic Doctor Who, that includes many of their most famous B.E.M. (Bug Eyed Monsters) stories from the show’s earliest days. Of the many the choose from, my favorite in recent years for an annual rewatching was the previously missing 1960s Doctor Who adventure: “The Web of Fear” starring my second favorite Doctor ever, Patrick Troughton. For those that aren’t Whovians or just don’t give a damn, the reason this story is so important is that in the mid 70s, The BBC junked whole seasons of Classic Doctor Who starring the first 2 Doctors. They didn’t think there would be a market for old black and white “Who” and that was company policy. We can all see what a stupid policy it was but sure enough, tons of great stories from the first 6 years of the program were destroyed forever. Or so it seemed. Luckily fans of the show have been searching archives through out the globe looking for copies of these episodes since the late 70s, and a good chunk of the stories were returned. However, finds had fallen off the table from the late 90s for many years so there was a thought that the 106 episodes that were missing would remain so forever. That included 5 out of the 6 episodes of this classic Who story. That was a especially sad thought for any 2nd Doctor fan, as it’s really his stories that had been the most severely hit. It’s a real shame too, as it’s pretty much a established fact that although Hartnell originated the part, it was really Troughton’s Cosmic Hobo Doctor that set the mold for all the Doctors to follow. In fact, one of the more famous Doctors we’ve had in the past decade, Matt Smith, who found worldwide fame, went on record saying he was pretty much following Troughton’s lead in how his Doctor behaved. In any case, after many years in the wilderness without as even a hint of anything being found, in November 2013, it was revealed that due to efforts of fans, they finally found 2 full “lost” stories from the Patrick Troughton era, a combined 10 missing episodes. Those stories were “Enemy of the World” in which Patrick Troughton plays a double part as both the Doctor and the main megalomaniacal enemy, Salamander, and the above mentioned “Web”. Of course one of the more frustrating parts of this annoucement was that the intial reports were that all of the missing episodes of Web of Fear had been found, only to see Episode 3 mysteriously disappear in transit. So unexpected was this that the BBC really didn’t have a back up plan and so Episode 3 was released on the subsequent DVD as a collection of pictures with a copy of the audio recording of episode that many fans had previously heard on CD releases back when that was the only way this story existed. The sources that found the other episodes claimed in interviews earlier this year that they are certain some day Episode 3 will surface again because they know it’s out there once whomever stole it returns it to it’s rightful owners. However, I digress. The real question for everyone out there that have never seen this story of Doctor Who is why is it so memorable? Well for one thing, Web of Fear comes from the “Monster” season, a common term given to Season 5 of the original show by fans, because so many of the classic Doctor who Monsters appear in this season. There’s two stories with the Cybermen bookending the season, an Ice Warrior story, a killer seaweed one, and then two with the frightening evil Great Intelligence and his army of robotic Yeti monsters. 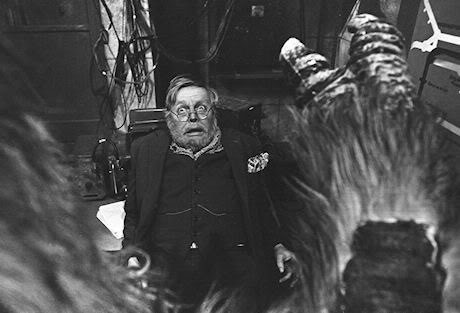 Whereas the first story, The Abominable Snowmen, takes place in the Himalayan mountains in the 1930s, Web of Fear brings these animatronic terrors into the “modern” 1960s England. As a result, the Doctor has to fight an invasion of monsters to save the people that are watching the program. It’s not on some distant planet, or in another time, it’s “right now”, and although that’s become common place on the show since, it had only occurred once or twice before prior to this story. Plus, we get in Web, the first appearance of Brigadier Lethbridge Stewart in the episode, an extremely important continuing character for most of the Doctor’s adventures on Earth in the 1970s and beyond. All these things add up to one of the all time classics of the Doctor Who program and I can not wait for the chance to finally watch it. Sure, I did want to watch “Enemy of the World” first when both of these stories resurfaced, but that’s only because the stories are back to back narratively, so it makes sense to watch them in order. One final thing about these missing episodes, was that originally when rumors started creeping up in early 2013 that missing episodes had been found, it was reported by “sources” that they in fact found nearly all of the some 106 lost episodes of Doctor Who in some sort of mega “Raiders of the Lost Ark” type find. Then came news of the release of two full Troughton stories, and my brother, Dave, and I got real excited. See, the last time they found a full complete story with all it’s episodes was 1991 with “Tomb of the Cybermen”, so logically news that they found 2 full 6 part stories, lent a lot of credence to the theory that there was some sort of mega find. I mean you don’t go over 20 years just finding one off episodes here and there, and then suddenly find two whole 6 part stories, without there being some sort of ridiculous super find. But since then, there has been no more news on lost episodes being “recovered”, and that’s more than a little disheartening. 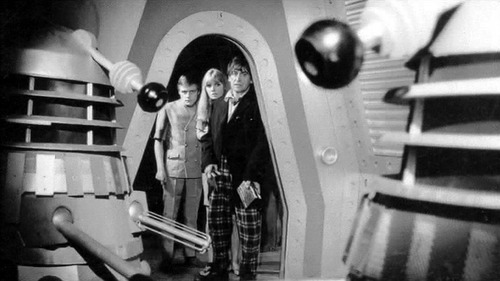 I mean there are some really important stories in those missing episodes if there was some mega find that found all of them, including 3 Dalek stories, one of which is Troughton’s first story after his regeneration: Power of the Daleks (which is pretty much universally accepted by Who fans as the most important find that could be found, other than “The Tenth Planet” part 4 which was Hartnell’s last episode). I told my brother, Dave, that if “Power” was ever found, that we’d watch that sucker together driving all the way up to State College if necessary. 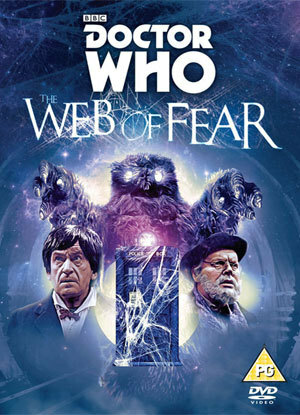 In any case, if you have never taken the opportunity to watch the Web of Fear story of Doctor Who, I highly recommend popping over to Amazon or iTunes and picking up a copy. The story is pretty self contained so you don’t need to know a lot about Doctor Who to enjoy it. I mean maybe it’s not as self contained as Tomb of the Cybermen which is probably the most perfect jumping on points for classic 2nd Doctor stories, but Web of Fear does the job just okay. Especially around Halloween, this base under siege story in the London Underground is perfect for new and old fans alike with just the right amount of creepy to have you turning on just a couple additional lights in the house…y’know… just in case.